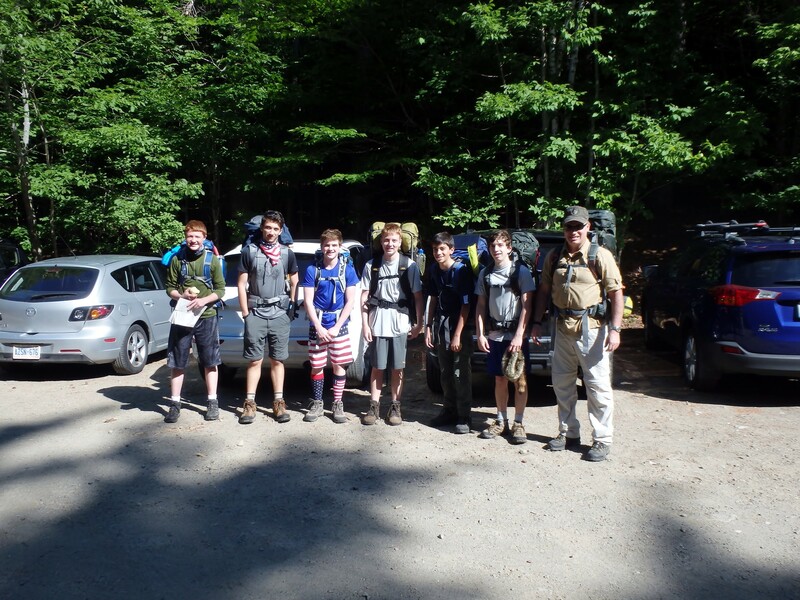 Troop 353’s High Adventure Trek took place in the Adirondack Mountains in upstate New York. The week-long trip started and ended at Summit Base Camp, located within the Camp Read Scout Reservation in Brant Lake, N.Y. The High Adventure 5 Day Trek included a 2 ½ Day Backpacking and Hiking Trek and a 2 ½ Day Canoeing Trek in the Adirondack mountains covering over 44 miles. What: High Adventure Trek out of Summit Base at Camp Read, Brant Lake, N.Y.
Backpacking with a full backpacks weighing between 35-55 lbs. Hiking straight up Lower Wolf Jaw Mountain on a water runoff trail to an elevation of over 4,200 ft.